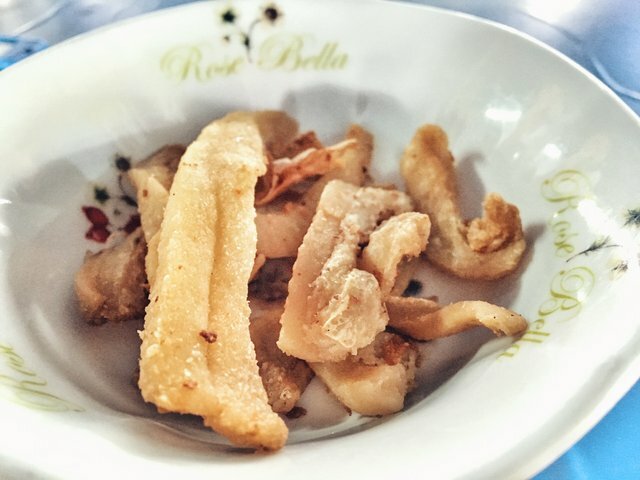 This is fried pork fat that a lot of S.E. Asian countries use in soups and noodles. Thailand in particular has this in most noodle street food stalls and is a mind warp in terms of it being edible. On one hand, you know it's just the fat of an animal that a lot of people don't eat and on the other hand, it tastes pleasurably with each bite of whatever soup dish you're having . This sounds like the food battle between good and evil, LOL. Congratulations @shomoripass! You received a personal award!